Facebook Audience Network (FAN) is an advertisement platform like Google Adsense for both Publishers and advertisers. If you are already familiar with Adsense and all its intricacies, just consider FAN as another Advertisement Platform you can lay your hands on like Taboola, Outbrain, Adsense, Infolinks, Buysell Ads etc, but this time its by FACEBOOK. Facebook Audience Network (FAN), is another type of Adsense kind of medium of advertisement meant for both publishers and advertisers. It offers a variety of advertisement placement option like banners, interstitials and Native. Facebook Audience Network (FAN) is primarily meant for mobile platforms just like Google Admob. That means Facebook’s Audience Network allows you to monetize your iOS and Android apps, as well as mobile websites with targeted ads. Sooner or later we may have Facebook Audience Network unveiled for Desktop, but, for now it only works on apps, selected mobile browsers like: Web browser, Safari and Chrome. Facebook Audience Network is yet to support Operamini browser and UCWEB which is very popular in Nigeria because FAN for browser is still on Beta . That means users using this browsers to access a site running FAN may be unable to see the advertisements from advertisers on FAN. But this constraint is because its still on Beta and with time will have support for all mobile WEB browsers. 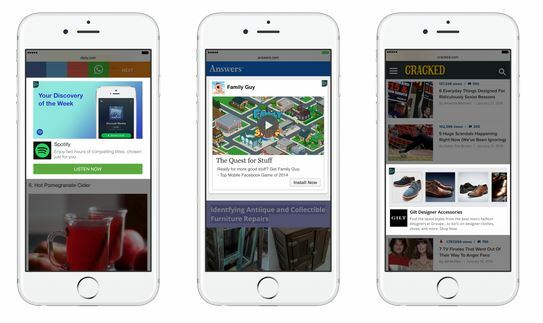 Facebook: Audience Network provides publishers and developers with engaging, high performing ad units backed by Facebook’s 3 million advertisers. Audience Network extends the reach of Facebook campaigns beyond Facebook, and provides publishers a way to monetize their content with relevant, better-targeted ads and innovative native ad formats. Facebook Audience Network (FAN) comes in three ad layout placements, the banner, interstitial and native ads. This gives publishers and developers the option to choose between three different ad units: banners, interstitials and native ads. All three ad units have access to the same great targeting and advertisers, since the ads are automatically rendered to fit the unit you chose. Whenever possible, a click on an ad doesn’t take your users out of your app. Instead, users can download other apps and visit webpages from within your app. 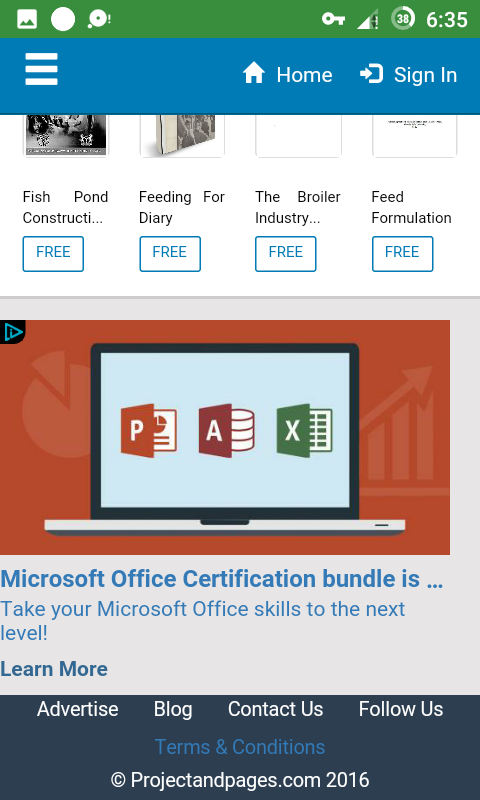 Below is an example of the three ad placement options. Banner ads are the most common type of ad unit and can be placed throughout your app as well as your website, for now on mobile. You can choose the ad refresh rate for your banner ads to make sure your users are seeing ads as frequently as makes sense for your app and website. Native ads give you the control to design the perfect ad unit for your app. 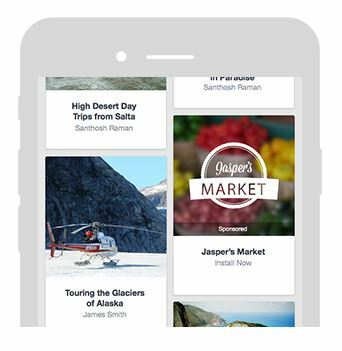 With Facebook Audience Network Native ad API, you can customize the look, feel and size of your ad. 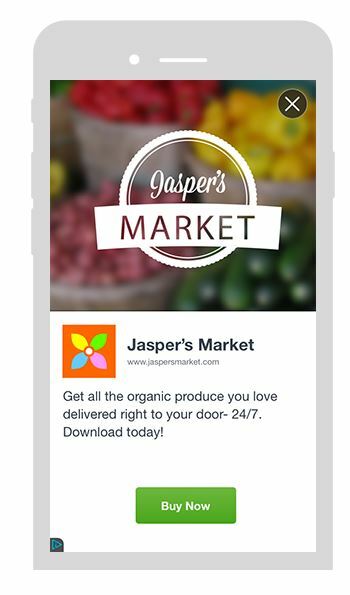 Because you decide how the ads are formatted, ads can fit seamlessly within your app or website. Interstitial ads are full screen ads that can be effective in catching a user’s attention. Many publishers recommend interstitial ads for pauses in game play or times when there is a natural break in your app’s flow or mobile websites. Use this link to apply for Facebook Audience Network (FAN) for your websites. Confidence Neze, email me buddy.